In fact, it might be possible to concentrate so many heavy gravitons into a tiny volume of space that they would collapse in on themselves and create miniature black holes, those cosmic sinkholes from which nothing can escape. Experiments like this will be on the agenda when the Large Hadron Collider begins operation in five or six years at the CERN accelerator center in Geneva. ”These black holes should be quite safe,” Dr. Giddings said, for they would rapidly evaporate. Today CMS released the results of the long awaited test of superstring theory, based on 35 inverse picobarns of data. It failed. Update: Since this is getting wider than usual attention via Slashdot, I suppose I should remove tongue from cheek and make clear what is going on here. Claims such as the one in the 2000 Times headline always were nonsense: string theory unification failed long ago because it can’t predict anything. Various physicists back then came up with “string theory inspired” models of extra dimensions that would in principle have observable effects at LHC energies. There never was any reason at all to believe these models (and they were no more “predictions of string theory” than anything else), but there was a lot of hype about them, often promoted to the media by people who should have known better. Now that the LHC is finally working, the result is exactly what everyone expected: these exotic phenomena that had no good reason to happen don’t actually happen. It’s great evidence that the LHC is working as expected, but not an experimental refutation of string theory. This is not failure. It’s success in obtaining one more constraint. It’s big business. A professor once told me that his whole academic career was to put increasingly stringent constraints on various models. I suppose one could argue that the threshold of blackhole production based on superstring theory really starts at a higher energy? If this is so, wouldn’t we also have seen blackhole production at the Fly’s eye and other cosmic ray observatories (assuming they have the right detectors) where the energies can be much higher? The cosmic ray experiments observe only very small numbers of collisions at these high center of mass energies, and have very limited abilities to observe the products of the collision. I don’t think they give any useful bounds on black hole production. The LHC results are based on trillions of collisions, and very sophisticated detectors. In case it’s not clear, the 2000 Times headline always was complete nonsense. Even if you do believe in unification based on strings in extra dimensions, there’s never been any good reason to think that the extra dimensions and associated black holes would show up at LHC-scale energies. This was a theoretical possibility that some people found useful as a selling point for string theory, but even they can’t be surprised it’s not working out. This was a theoretical possibility that some people found useful as a selling point for string theory, but even they can’t be surprised it’s not working out. Ok, but nevertheless a lot of experimentalist teamed up and invested time and other resources to check it out, so there weren’t sufficiently interesting alternatives, or were there? They’re working on looking for a wide range of different things that would give evidence for something beyond the standard model. This is just one of the easier things to see, so the result is coming out first. Over the next year there should be a lot of similar null results in searches for exotic things that aren’t expected to be there. But by late next year, there may be enough data to see the Higgs, and that’s a very different story. This is science at its best: formulate theories, make predictions, conduct experiments, … and deal with the more than occasional refutation. Some theories need “adjustments” (Newtonian physics) others are plain wrong (caloric, ether) but theories that allow to make predictions are always useful in advancing our knowledge, if only because they can be refuted by experiments and lead to better theories. The problem is that there never actually was a prediction made here. String theory unification failed a long time ago, not because of a bad prediction, but because it can’t predict anything. This result puts constraints on possible hypotheses. First, there is a very good reason why these large extra dimensions might exist. They reduce the hierarchy problem to one of geometry. Also, this result doesn’t even refute their existence, just reduces the parameter space. In addition, you shouldn’t lump all string theories into one, as if “string theory” would be refuted by the non-existence of large extra dimensions. I also disagree with your assertion that string theory failed because it couldn’t predict anything. It in fact predicts quite a bit (for example, the existence of supersymmetric partners). While many predictions of, say, M-theory, can’t be tested at energies below the GUT scale, that doesn’t mean that none can. For example, many believe the LSP might be within reach of the LHC’s energies. The problem that many have with string theories – namely, that most of its new predictive power lies in the GUT scale – is a problem that faces many extensions of the Standard Model, because, well, that’s unfortunately where the bulk of the new physics lies. Just because our experimental apparatuses on Earth are lacking doesn’t mean it isn’t science. If Einstein had lived a hundred years earlier and thought up relativity then (when no one had dreamed we would be able to measure the speed of light), it doesn’t mean what he did wasn’t science – it still made predictions that were testable in theory. Again, the suggestion that this refutes string theory was tongue-in-cheek, parroting the absurd and indefensible claims made over the years that this would be some sort of “test of string theory”. You’ve got to admit though, if CMS had found something of this kind, we’d be seeing a lot of stories about “string theory found at the LHC”. This is the usual way all these bogus “tests of string theory” go. If you see something, it’s evidence for string theory, if you don’t, that says nothing about string theory. Saying that string theory predicts “the existence of supersymmetric partners” neglects to mention that it is completely silent on what breaks supersymmetry, not even able to say whether it is broken at the Planck scale or at some much lower scale. Saying “my theory predicts a symmetry”, but then going on to admit that the symmetry is broken and your theory says nothing about how it’s broken is kind of absurd. It’s simply not true that string theory is predictive at the GUT scale, with the problem only how to extrapolate to low energies. We know how to extrapolate down from the GUT scale, the problem is that you can get anything you want at the GUT scale. The question of whether one finds the large extra dimensions solution to the hierarchy problem compelling is to some extent a matter of taste. It’s not something that ever appealed to me, and I like geometry, but tastes differ. I think it is a fact though that only a small minority of theorists ever claimed to find this idea appealing enough to lead them to expect evidence for it to show up at the LHC. I don’t have a Google alert, but anytime I read anything about string theory in the general media, I always look up the reaction on your site and for comparison the site of that Czech guy (afraid to mention his name, don’t want to restart the old wars). Please keep doing what you are doing here. In particular I really apreciate that you made an update that is more verbose and more accessible to the people who had strayed away from the real science to some nearby fields. For this holiday season I was pondering some Marxist thoughts: How to make the physicists real owners of the tools of their trade? It seems like modern physicists are scientific sharecroppers who toil on the LHC-land owned by the absentee landowners and beholden under the opressive thumb of administrators always saying “publish or perish”. I’m trying to find an analogy in the human history where the distance (in tems of income) between owner/administrator and scientist/operator was as high as it is right now in the field of experimental physics. Make an IPO for the LHC and have the stock markets decide the further investments in research? How to make it work such that those expensive scientific tools like LHC are not under control of a secretive cabal that locked themselves in the ivory tower and doesn’t want to talk to anyone outside? I’m not convinced that lack of control over the means of production (the LHC) is the source of many problems. Just getting the thing to collide protons at high luminosity is a technological tour de force that I don’t think could be done better or cheaper by anyone else. Similarly for the highly complex detectors. One can try and argue that someone out there is being kept from doing a really innovative analysis of the data, but all I know is that I have no ideas at all about how to do this better than those working there now. I just want to say that your assertion that string theory has nothing to say about how supersymmetry is broken is wrong. In a fully worked-out model with all moduli-stabilized, it is in fact possible to calculate the supersymmetry-breaking soft terms. The problem is finding such a model and with knowing whether or not it is a unique solution. Sure, at least for some classes of “string theory backgrounds” you can in principle stabilize moduli and calculate the soft supersymmetry breaking terms. But the problem is that it seems you can get pretty much whatever such terms you want by appropriate choice of “string theory background”. There’s also large classes of these backgrounds such that you can’t, even in principle calculate this kind of thing. It would be interesting if one could divide up the 105 or so dimensional space of these terms in the MSSM into values that could come from string theory and values that can’t, but I don’t believe that is possible. “String theory doesn’t predict anything” is perhaps not the correct way to put it, however it is true that string theories lack significant predictive power. The problem is that a unified string theory requires so many arbitrary and independent variables that it effectively becomes a “fitting function” rather than a predictive model of reality. As for predictions such as supersymmetry, string theories are hardly the only theories out there that require supersymmetry, and they face an occam’s razor problem on that count. Which of the “quite a bit” of predictions are *unique* to a string theory framework, and couldn’t be explained by something simpler? Though IMO, if the problem of too many arbitrary variables isn’t solved, then there really isn’t any point talking about “predictions” of string theory in the first place. Yes, but the values of all parameters such as coupling constants and Yukawa couplings depend on the moduli VEVs. If such a model were found that could reproduce the correct values of these parameters with the moduli stablized, then I think the corresponding soft terms with be highly relevant. This article was referring to brane models with large extra dimensions. These models do not belong to String theory per se (although there are analogs in String compactifications where some of their benefits can be reproduced i.e. hierarchy). Every model with extra dimensions is not a priori related to String theory. Of course the headline is obviously ridiculous. In 1676 Olaf Romer and Giovanni Domenico Cassini found by observing the satellites of Jupiter that light took “about ten to eleven minutes” to cross the distance from the Sun to the Earth, and that distance was approximately known from simultaneous observations of Mars made in 1672 by Cassini in Paris and Jean Richer in French Guiana. The speed of light was estimated from this data by Christiaan Huygens, who died in 1695, 184 years before Einstein was born. The String theorist may have to pack up and look for another career. LHC has proven that they are on the wrong path. The early history of string theory also very interesting. In 1968 a young Italian physicist was searching for an equation which would describe the strong force (the force that binds protons and neutrons). He found a book that contained an equation by a Swiss Mathematician named Leonhard Euler (1707-1783), which seemed to miraculously describe this force. The discovery would eventually lead the physics community towards string theory, which has become a big part of theoretical physics. How did one guy’s mathematical gaming, translate into String theory and theory of everything? Peter – can you clarify the scope of the impact of this result? I recognize that it can’t confirm or contradict string theory generally. But does it at least exclude large extra dimension models? Or put a cap on the highest possible number of large extra dimensions? Or is it limited to large extra dimension models with particular features? Those models may not be much of the landscape, or whatever, but they were certainly a pretty central topic of discussion for the past few years, so if that’s the exclusion it seems like it may be an even bigger deal. For answers to your questions, you’ll have to consult someone who didn’t think these were contrived, implausible models not worth paying a lot of attention to. Can’t help you there. Can any of those people write coherent paragraphs in English? I tried reading Motls’ blog post on the subject. It seemed to illustrate the proposition that the longest distance between two points isn’t a straight line. 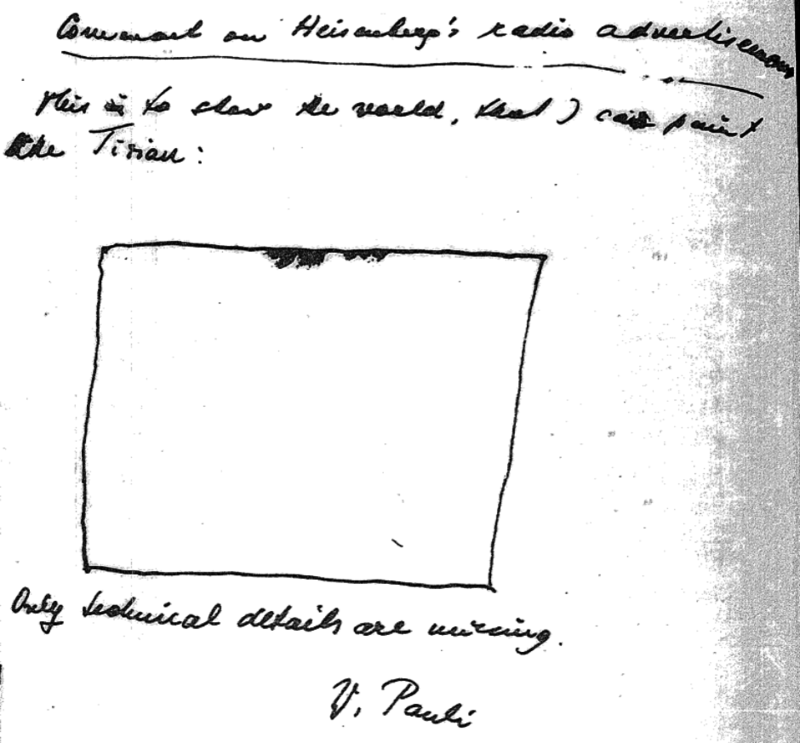 ‘I enjoyed Milena Wazeck’s analysis of the thought processes of those who denied Einstein’s relativity (13 November, p 48). Yet it all sounded eerily familiar. That’s pretty amazing. But it’s just from Duff, not from Salam, who died about 15 years ago. Duff is just invoking his title of “Abdus Salam professor”.